Have you enjoyed watching Cheese in the Trap? I have. Though, I’m not a big fan of the ending. An open-ending can be bad and good sometimes. 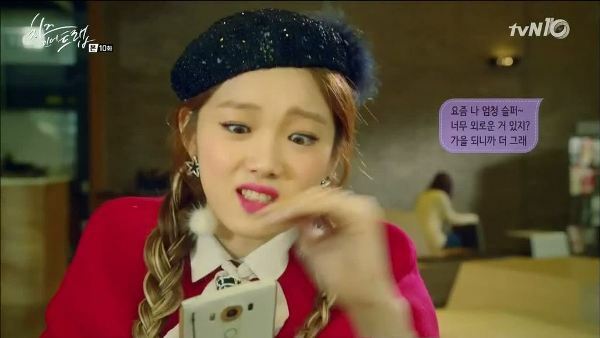 But for Cheese in the Trap, I feel like it is far from good. If the writer decided to have an open-ending, then she/he should have prepared it better. At least made the leads met again for the last time before put on a final credit title. Or make something better than the hasty-like ending. But anyway, I’m not going to talk about the ending or the drama today. 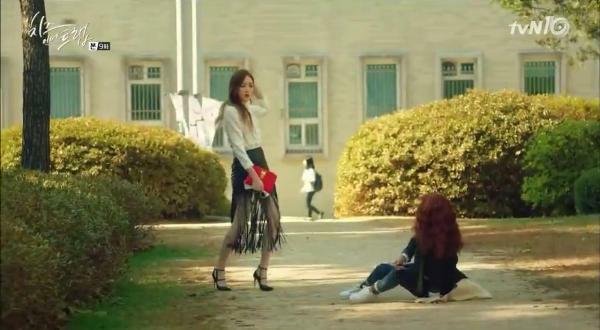 In this entry, I would like to highlight the fashion or looks of the most stylish and fierce character in Cheese in the Trap. 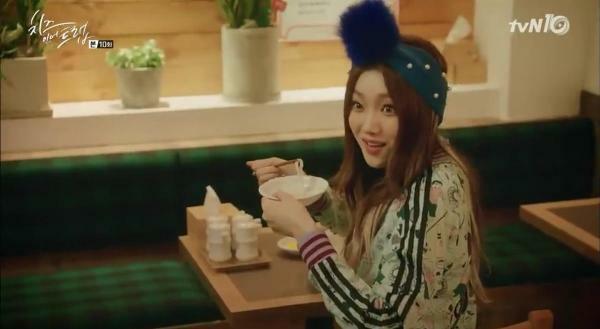 Everyone, please make some noise for the glamorous Baek In Ha (Lee Sung Kyung)! 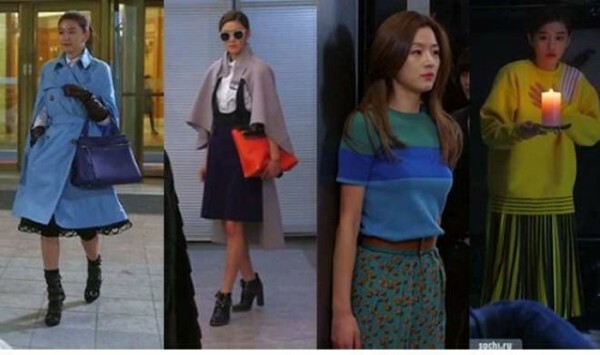 Thanks to Baek In Ha’s tall and slim figure, everything that is thrown at her looks super cool and expensive. I would like to name her as the little sister of Cheon Song Yi from My Love from Another Star because her style is just as extravagant as Ms. Song Yi’s. 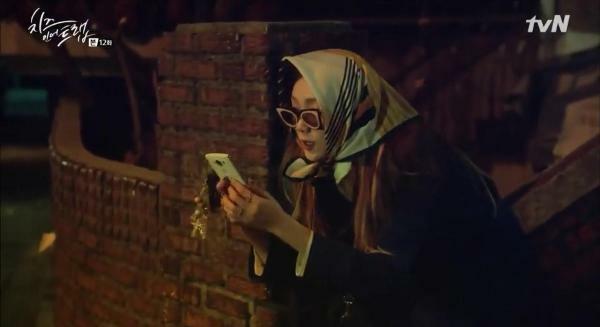 There are three signature fashion looks from Baek In Ha: Glams Outfit, Peculiar-yet-Grand Sunnies, and Statement Accessories. First is Glams Outfit. 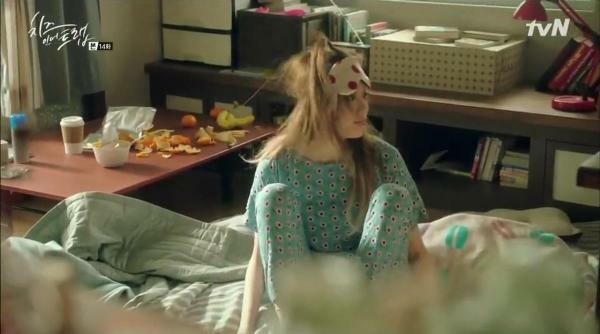 The outfits of Baek In Ha speaks for it selves. It speaks posh. Baek In Ha never opt simple and plain outfit, that’s for sure. Why wear something plain when you can wear something bold, fringy and stylish? This look below is the reason why Baek In Ha can be called as a fierce lady. Even for going to the little noodle restaurant near her home, Baek In Ha go for a daring and colorful sport wear. Baek In Ha is undeniably never go out of style. She remains stylish in her sleep. 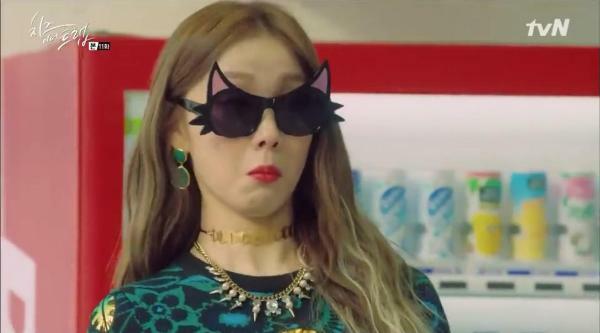 Baek In Ha also loves to wear an odd but grand sunnies like the British Royals do. Who says that you can’t wear sunnies inside a room? Baek In Ha wear it. And she wears it like a Queen. Mixing a cat-like sunnies with a printed mini dress can be an option to look playful and feminine at the same time. Just like what In Ha did below. Baek In Ha loves to wear statement accessories that made her style more standout. 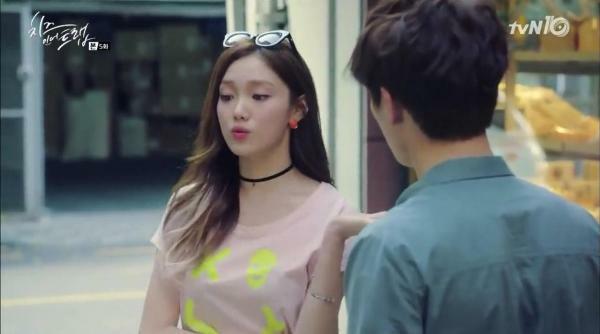 It can be seen from her choice of wearing choker necklace to make her plain pink t-shirt looks more outstanding. Too lazy to style your hair for a night stroll? Easy. Put on a fur-ball headband and you will be ready for a modish night stroll. Right, In Ha-ssi? 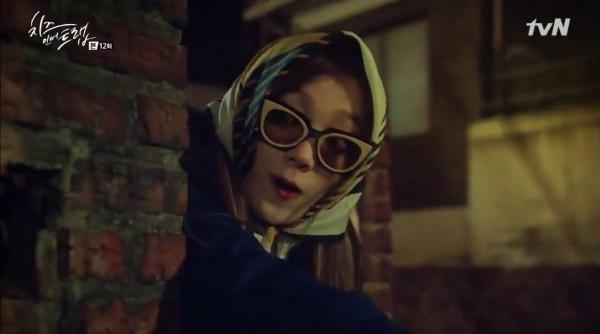 Spying on someone can be fun by wearing a fashionable outfit and bold accessories, according to Baek In Ha. While spying on the stalker Young Gon, In Ha opts for a satin scarf and a cool sunnies. 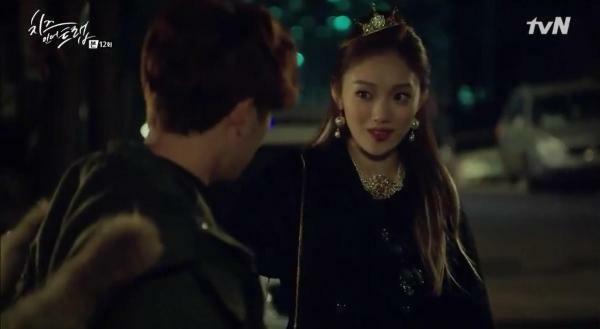 Baek In Ha is a self-proclaimed princess. And to make it obvious, she chose to wear a tiara-like hairpin and pearl earrings. Try this outfit below for Baek In Ha inspired look.